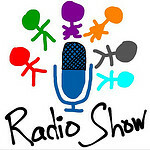 An Internet-based audio podcast or radio show is a pre-recorded audio file available for on-demand listening, usually featuring different segments (or spots) combined into a single program. 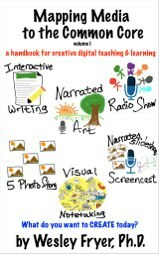 Internet-based radio shows CAN be “live” but classroom teachers are encouraged to help students create pre-recorded programs instead. These audio programs are sometimes called “podcasts” or “netcasts” when they allow others to “subscribe” to them using a web feed. Teacher obtains microphone and software for recording. 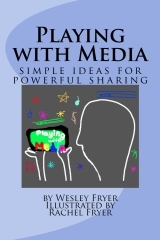 Teacher creates website for hosting/sharing audio files. Students prepare a “storyboard” for the show. Students write essays / scripts for each “corner” or spot in the show. Students record each show spot, saving each as an audio file. Student editor combines audio spots into a single program. Teacher publishes final audio file. 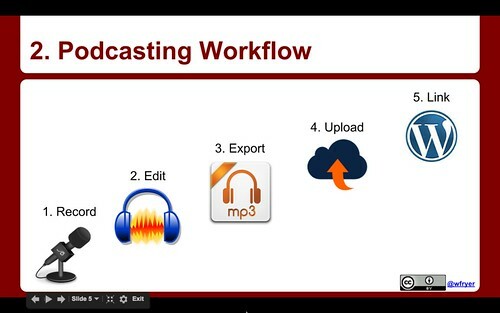 The following graphic, from the July 2015 “Podcasting Options with WordPress” by Wesley Fryer, highlights the five production and post-production steps of a radio show or podcast: Record, Edit, Export, Upload, and Link. 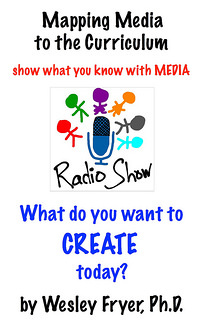 My students would like to try the Radio Show. They would like to change appearances but then add voice.